PACE Shredding provides a wide array of services designed to make it easier for you to protect the information most critical to you, your customers and your employees. In addition, we help you meet the strict compliance requirements for protecting confidential information. 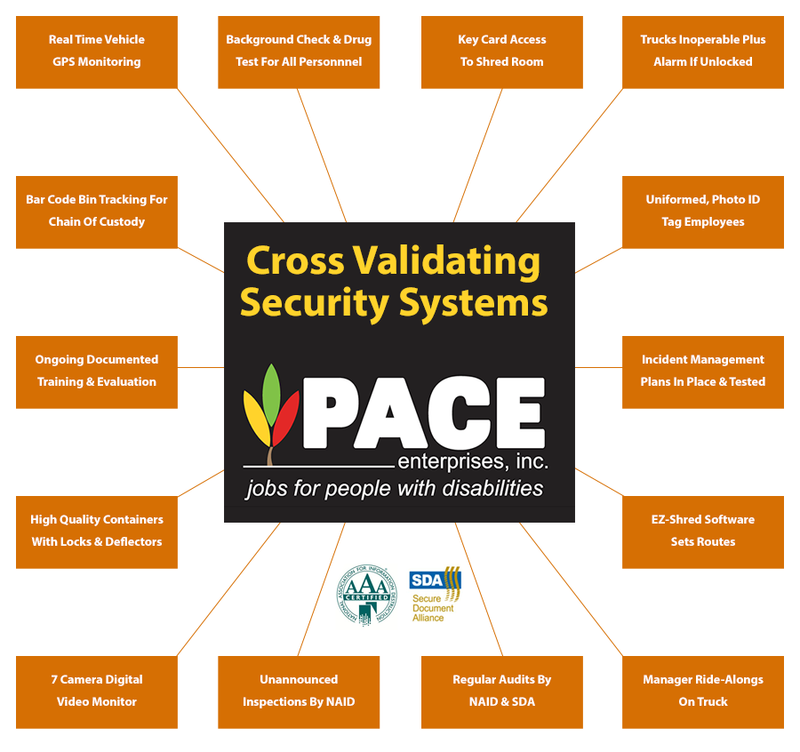 PACE Shredding is a state of the art, plant based confidential and secure information destruction business. 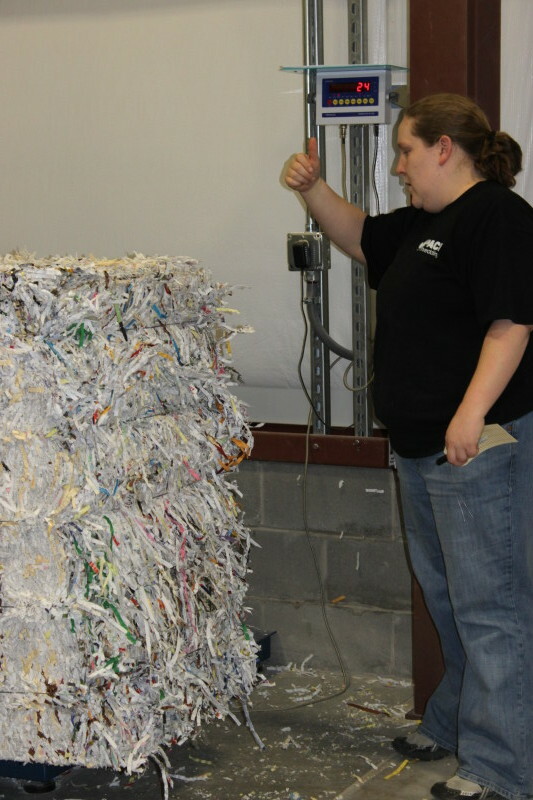 PACE Shredding listens to you and together we design an information destruction program specific to your needs. The right containers, in the right sizes and the right quantities, placed in your facilities and exchanged on a schedule that best fits your needs. We will meet with you so we know what needs to be done, give you a quote, set a schedule and arrive on schedule to pick up and destroy the information. Leave the rest to us. Local residents and companies that would like to drop off materials to be shredded may do so between the hours of 8:30 am to 1:30 pm, Monday through Friday at our Mylan Park location. Contact our Shredding Sales office at (304) 376-0036 to arrange a needs assessment to make sure your information doesn’t fall into the wrong hands.